1. First of all, there are books! 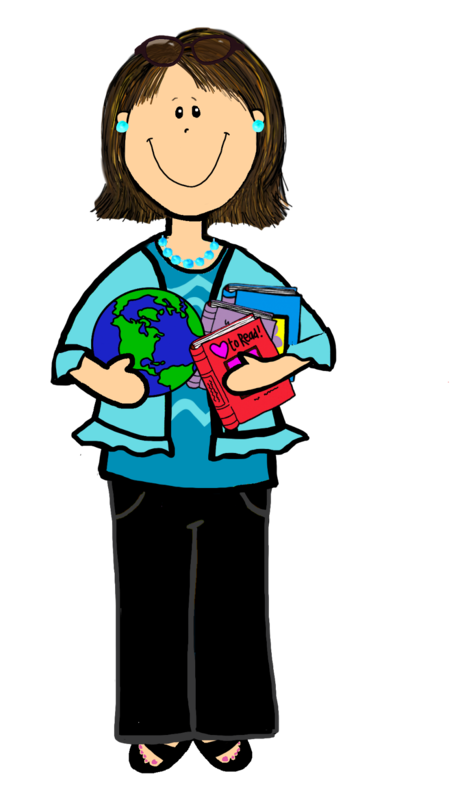 I absolutely love to introduce concepts to the children through quality literature! I admit. The Wall gets me choked up every time I read it. As I read it yesterday, the children were totally silent. (My group is NEVER totally silent!) It affected them deeply. All these books will click to a direct link to Amazon to learn more about the book! I already own most of them, but the story Night Catch really caught my eye. It might just be my next purchase! 2. Next, I like to show some videos. I try to time it so we watch a video on Thursday during snack time, since Thursday is popcorn day in our school. It just seems appropriate! 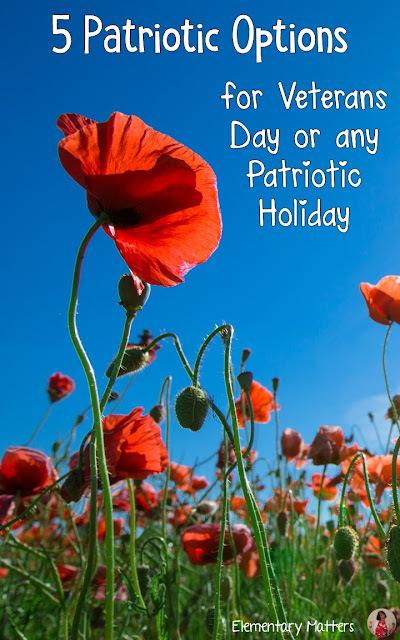 Here is a patriotic video that is great, and the kids really take to it! 3. I play music frequently through the school day. I make sure I have music playing in the morning as the children arrive, but I also make sure they hear music at different times of the day. Sometimes it's soft background music, and sometimes it's lively, fun music. Both kinds of music have their place. Here are a couple that I love! Click each image for a link to Amazon to find out more. Yes, I really do Karaoke with my students! 4. I did this Veterans True or False activity with my students on Thursday, and it was awesome! Interestingly, our assistant principal came in while we were playing the game, and told the students he was a veteran. My students broke out into applause! (I was so proud!) Of course, most of my little boys went nuts when they found out he drove a tank! Click the image or click HERE for the link! Got active students? 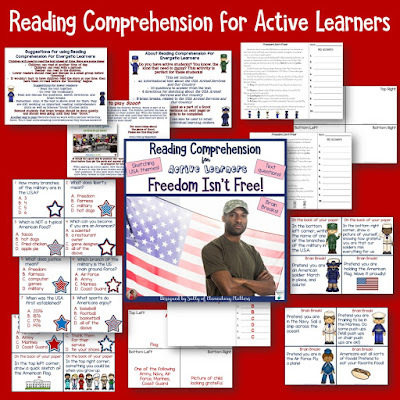 After the kiddos have read this text, they can have a blast moving around to answer the questions to Reading Comprehension for Active Learners: Freedom isn't Free! 5. Here's a freebie that I did with my students on Friday. They wrote thank you letters to Veterans! Their notes were heartwarming and proud to me they really understood how lucky we are to be Americans, and have these wonderful people risking their lives for our freedom! 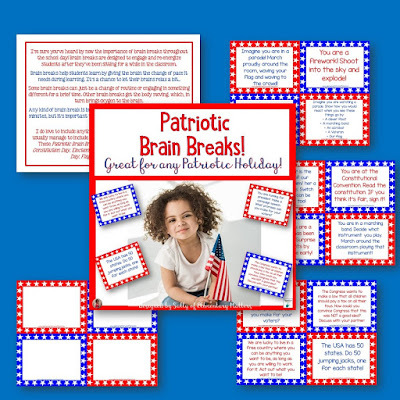 Thank You Veterans Writing Paper Freebie! On Monday, we will celebrate Remembrance Day - we still go to school, but we have a minute silence across the school at 11am. It is really a moving time… Thanks for the book suggestions. Thanks for sharing! 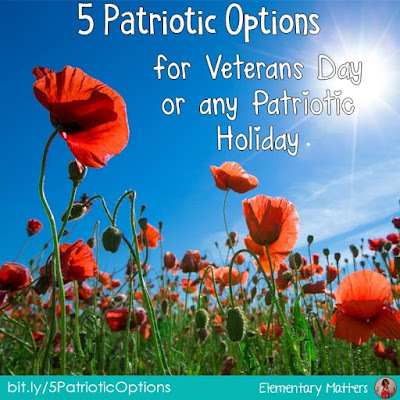 I was looking for some fresh ideas for Veterans Day.